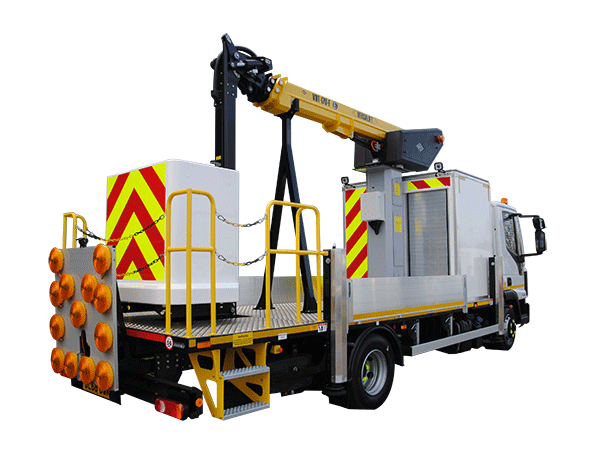 Versalift offer a number of bespoke chassis and truck build options from 13m to 24m. Available as insulatedor non-insulated, they can be installed on chassis from3.5T and up-wards. Suited to various applications but often used for highway working, these bespoke platforms may be preferred due to their easy accessibility. Customised lockers can beinstalled for storage of tools and equipment. For more information on the options available forbespoke units please contact the Versalift team.